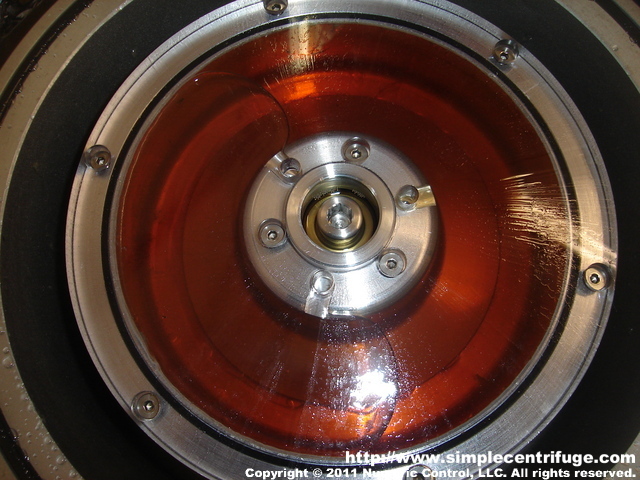 This is the stopped rotor. You can see that the machine isn't level by the air bubble. Normally I would have leveled the machine. The center hub is sealed so you can lift the entire rotor off the machine for cleaning.